Oscar-winning film Charly starring Cliff Robertson and Claire Bloom-a mentally challenged man receives an operation that turns him into a genius...and introduces him to heartache. Daniel Keyes (1927 - 2014) was born in Brooklyn, New York, and received his B.A. and M.A. degrees from Brooklyn College. 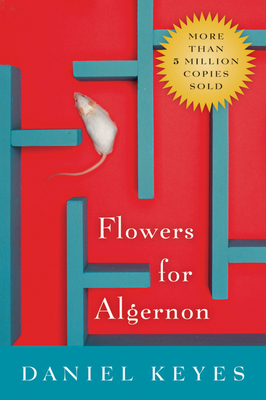 He was the author of eight books, including the classic Flowers for Algernon, first published in 1966, which would go on to sell more than five million copies and inspire the Oscar-winning film Charly. He also worked as a merchant seaman, a fiction editor, a high school teacher, and as a university professor at Ohio University, where he was honored at Professor Emeritus in 2000. He won the Hugo and Nebula awards for his work and was chosen as an Author Emeritus by the Science Fiction and Fantasy Writers of America in 2000.